With a recent Skype ban in the UAE, one of the biggest internet video calling services joins the ranks of other popular VoIP services blocked in the United Arab Emirates (UAE), including WhatsApp’s video calling, Apple’s FaceTime, and Google’s Duo. Skype app has been known as a safe and secure service to allow voice and video communication. It is one of the most popular and powerful tools for communication, especially for companies that depend on the app for the business purposes. The UAE’s telecoms regulator (TRA) confirmed the ban citing unlicensed VoIP service which falls under the prohibited contents as per the UAE’s regulatory framework. Complaints flooded social media until telecom providers Etisalat UAE and Du confirmed the ban. In a statement on its website, Skype confirmed that the ISPs had blocked the service stating that there was “very little they could do.” Following the Skype ban in UAE, Etisalat and Du started a bid to push legal communications apps C’Me and Botim as alternatives to the customers, although they come with a monthly charge. This situation has not only affected Saudi Arabia, but also Qatar. Over the summer residents in Qatar reported a continuous struggle to access VoIP services. Qatar is home to a large population of expatriate workers which is 12.1 percent of the total population. This means that communication is vital to most residents in this area. It also applies to the nearly 60 percent of Qatar’s population that comes from lower-salaried workers from countries such as Nepal, India, Philippines, and Bangladesh. The move to ban VoIP services was a huge blow for Qatar residents with possible discussions on workarounds accompanied by the negative reaction from social-media users. Just like Qatar, UAE which is home to a larger expatriate population has also been hit by the same ban with apps such as Snapchat, Whatsapp, and FaceTime being blocked. States in the region have also adopted similar policies that restrict the access to VoIP services. What are the requirements of the law that prohibits the use of Skype in Dubai? Voice over Internet Protocol (VoIP) remains officially banned in the UAE. Reason being the VoIP as an internet-based service poses a great risk in terms of privacy, hacking, voice phishing, and many other vulnerable activities associated with anything connected to the wild Web. This means it’s not safe. For the skeptical individuals that are highly doubtful about the use of VoIP as everyone uses Web-based calls in their own way, there is another new service that seems to have gained approval from UAE authorities. Although it’s an unclear issue with the majority of Skype customers in the Middle East, we’ve attempted to unfold every detail about United Emirates VoIP or simply the “Skype ban.” Let’s get started. VoIP (Voice over Internet Protocol) is a fancy name used to describe online calling. It’s a technology that allows people to make free and cheap calls locally and internationally. You also get a handful of other benefits from using this service. First, you need to register with a VoIP provider to make VoIP calls. For instance, Skype is the most popular VoIP service on the web, so you need to register for an account to make the calls to people online. You need other items like a phone to make and receive calls. This can be any type of phone depending on the type of service you choose. There are special phones designed for VoIP commonly known as IP Phones. They are uniquely designed with advanced features to make VoIP calls. For services like Skype, you need to install a VoIP app that acts as a physical phone. This type of software app is referred to as a softphone. To make any VoIP call, you need a reliable internet connection or local network. IP networks help to channel calls to the right destination which makes the service cheap and powerful. Some service may need an extra piece of hardware known as analog telephone adapter (ATA). This applies to those services that use traditions services, especially in residential areas. VoIP can be used for free as long as you have a mobile phone or computer. But, when it’s used as a landline telephone system or PSTN service, then it comes with a price. However, the charges are relatively cheap. This becomes interesting when you have to make an international call. In fact, most users indicate that they have enjoyed a 90 percent reduction in cost when making international calls thanks to VoIP. But what makes this service free or paid? This depends on several factors such as the services offered and the nature of the call. The users have to go for one depending on the type of communication they need. VoIP is a new technology that has received worldwide acceptance for its services. But, it is expected that there will be a major technological improvement in VoIP in future. VoIP comes with a variety of benefits over the traditional phone system. It has been proven that VoIP serves as a good option to replace the Old Telephone System. Its main achievement is the regulations and safety. The main reason why more people are turning to VoIP service technology is the cost. The service aims to cut down the cost of communication, add more unique features to communication, and improve communication between employees and customers to deliver a reliable system that is efficient. VoIP allows customers to save but it’s also a way of generating high-income levels for the early investor. For internet users, VoIP is not only a voice and video-calling services, it’s also a platform that has made communication enjoyable such as when you Skype in Dubai using computers, tabs, and mobile devices for free. The invention of Skype is definitely one of the services that made VoIP popular. 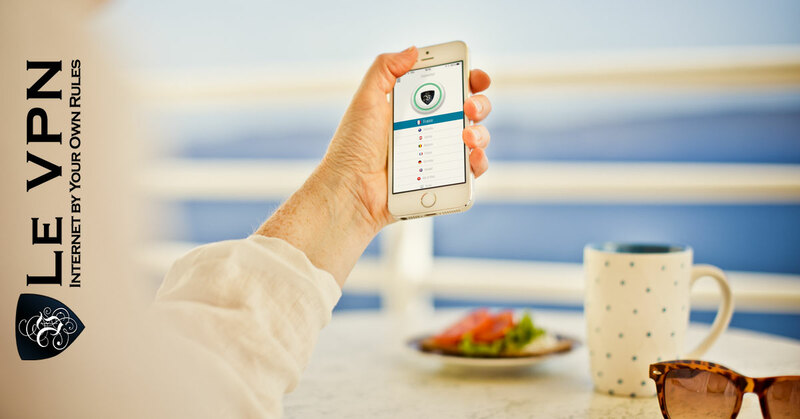 Since then there has been huge improvement including the instant messages sharing and voice and video calling services that are free across the world. In addition, VoIP is described as cheap, but most users say it’s free. If you can access a computer with basic features like speakers and a microphone, with a good internet connection, you can comfortably communicate for free using VoIP. You can also use a home phone if you cannot get a computer. Of course, there are many ways VoIP technology can benefit the user. It all depends on the location and the method you choose to make the calls. You may prefer using it at home, in your office, during a travel, in your commercial network, or even on the beach. The VoIP service you use to make either voice or video calls determines the type and quality service you will get. The main cause of these dynamics is either due to licensing, money, and freedom of expression. Saudi’s telecom regulatory authority indicated that they were lifting the ban on VoIP services that fulfill the regulatory requirements in the Kingdom. In the United Arabs Emirates, regulatory requirements can restrict the operation of VoIP providers to work freely. According to Qatar’s Regulatory Authority, there are no rules that prevent the use technology in the country. However, The Telecommunications Law 34 makes it unlawful for anyone to offer communications services to the masses for a fee without authorization from ictQatar. The only licensed bodies that provide voice services to people in Qatar are QTel, Qatar Telecom, and Vodafone Qatar. Qatar indicates that it’s committed to encouraging the availability of modern technology to the residents. But it adds that these rules should be taken to mean that no unlicensed person or businesses within Qatar should sell VoIP services without a license from ictQatar. That and many other arguments associated with licensing that are accompanied by contradicting aim to promote access to digital platforms have been common in other states across the region. Apart from the licensing issue, the financial aspect is also suspected to play a big part. It is also said that majority of the Middle Eastern governments have lodged financial interest to ensure that free VoIP services remain blocked. When these services remain banned in these areas, the customers have no choice but to pay for international calls which translates to more profits for the big telecom providers. For instance, if Skype in Dubai is banned, the major beneficiary is the national government. For instance, Ooredee which is Qatar’s largest mobile network provider is owned by the government. On the other hand, 60 percent of Etisalat is owned by the Emirates Investment Authority. This means that the ban works to the benefit of the government of the state. A major reason why states and telecom providers may continue to support the existence of these protections is that the channels generate a lot of income and are of great benefit to infrastructure projects like network upgrades including 4G and 5G. Another aspect of concern to the government is security. Today, there are so many messaging apps that offer encryption. With more users preferring to move from closed conversations to services that are in closed networks, the process of monitoring these interactions is becoming more difficult. It is for these reasons that some of the most popular VoIP services have been banned. But the majority of the users indicate that they have changed the way in which they use social media platforms citing privacy concerns. Some have resulted to use VPNs banned in UAE in 2016, but they are popular in these states as a way to bypass the content restrictions and enjoy these services. Looking Forward: What is the outlook on the use of Skype in the Emirates? Dealing with security issues and consumer choices is a big challenge for governments in the region. As a result, they may be forced to block some services including the Skype in Dubai ban. The main reasons for the ban are not clearly stated, which may lead to a further confusion on the rule and intentions behind them. As network upgrades continue to rise in the region, the demand for the VoIP services is expected to grow. As a result, there will be a need for the regulatory authorities to come up with clear rules and regulations, and also work on the proper revenue models. To some point, this may already have started from the result gathered from the GSMA’s annual analysis in UAE where states such as Qatar, Saudi Arabia, and Israel have mobile phone users who are already using IP messaging apps instead of SMS services. The increased use of mobile messaging apps and VoIP services constantly means that customers don’t need to stick to one mobile network while there are other alternatives to explore that provide an improved experience. What you can do if you live in the Middle East: How to Unblock Skype in Dubai and UAE, the use of Skype in Saudi Arabia and Qatar. So after the Skype ban in UAE what’s next for people who want to communicate with family and friends across the world? How will you unblock Skype in Dubai or Qatar? 1. Unblock Skype with a VPN service like Le VPN. So, you’re in the Middle East and want to conduct an important voice or video call using your Skype app. Initially, the process would be straightforward and easy as long as you access Wi-Fi or Lan Internet networks. However, Skype is blocked in your country. What can you do to unblock Skype, Whatsapp or other blocked VOIP service? This isn’t the first time the VoIP service is being banned in the Middle East, and it certainly not the last. Fortunately, you can get around Internet Censorship using a VPN to unblock Skype in Saudi Arabia, UAE or any other place where you currently live. UAE is one of the top Internet users across the world and a secure VPN for private Internet access will be of great benefit for both local and international visitors. For instance, if you’re traveling to Saudi Arabia, Le VPN is your best solution to unlock VoIP services such as Skype. VPN in Saudi Arabia offers fast connects for the Middle East without having to worry about downtime. It can also protect your online privacy and provide a secure connection. Download and install the VPN application on your device. Our VPN apps are available for Mac, Android, PC, iPhone, iPad and other devices. Connect your device to one of Le VPN servers in your location or abroad. Open Skype app and start making either voice or video calls to family and friends. It is important to note that not all VPN services work in UAE, and it is advisable to subscribe to a VPN service before traveling to the Middle East. 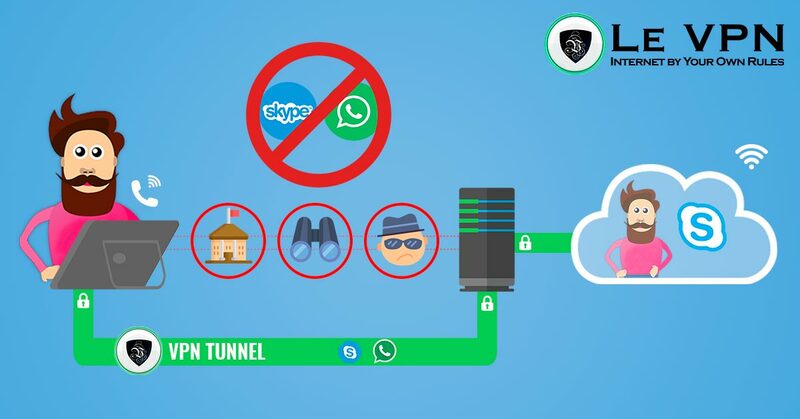 Once Le VPN app is installed, you will have a great experience unblocking Skype in the Emirates, Saudi Arabia, Qatar or wherever you maybe with one single tap. If you are in the country already and have trouble signing up, just contact our Support Team! 2. Use authorized VoIP alternatives instead of Skype. While there is no way to bring Skype back, unless you register for a VPN, there are still other authorized VoIP alternatives available through Etisalat and Du to help you use Skype in Dubai. These are two internet service providers (ISPs) regulated by the Telecommunication Regulatory Authority (TRA) in UAE. For now, the UAE regulators have licensed these two providers to offer VoIP services across UAE. These telecom providers provide unlimited video and voice calling through VoIP apps C’me and Botim. To access these services, all users making calls need to sign up. Cost: The monthly fee starts at AED 50 for smartphone users and AED 100 if you prefer the home Internet package. Subscription: For Etisalat, the AED 50 calling plan requires the user to send the term ICP to 1012. Home packages that cost AED 100, send the word EICP to 1010. For those who prefer Du AED 50 plan, SMS the word Netcall to 1355. If you need home internet packages that go for AED 100, just dial 04 390 5555. Unblock Skype app with VPN wherever you may be! The Skype ban is a huge blow to the United Arab Emirates and the rest of the Middle East. Trying to connect with family and friends or business contacts from abroad only to be served with an error code because the VoIP services in your area are blocked is very disappointing. The good news is that Skype can be unlocked with the use of a VPN service like Le VPN! Le VPN is a reputable service that allows its users to enjoy the Internet freedom, security and privacy when they need it and wherever in the world they might find themselves. The VPN hides the user’s real IP address and provides a secure connection to a server in the country of his choice to unblock free and uncensored Internet the way it is supposed to be. Try Le VPN now and enjoy the Internet by Your Own Rules! Skype being banned in UAE is bad. However, alternatives to Skype are webex, R-HUB web video conferencing servers etc. They work well.